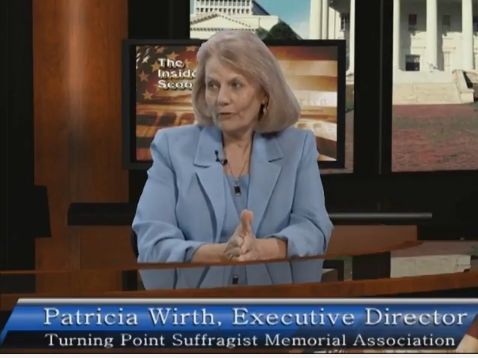 by Catherine Read, Creative Read, Inc.
Catherine Read interviews Patricia Wirth, Executive Director of The Turning Point Suffragists Memorial Association. The goal of the organization is education of the public regarding the Suffragists Movement. The proposed memorial to be built in Occoquan Regional Park in Fairfax County Virginia, would serve as a monument to the 72 year struggle by over 5 million women in America to pass the 19th Amendment to the U.S. Constitution giving women the right to vote. It’s design also includes an education center to provide the historical context missing in the history lessons taught in classrooms around the country. This post was originally published on Read. Think. Act.